New Zealand is ensuring it maintains its sweet spot with the manuka honey market by devising a sophisticated scientific system to authenticate the spread's source. The move comes after several overseas markets have questioned the authenticity of some honey labelled as New Zealand manuka honey. Manuka honey, which is made from the nectar of the manuka plant or New Zealand tea tree (Leptospermum scoparium) that is native to New Zealand, has antibacterial properties and commands a high price tag, up to ten times the price of regular honey. The premium product has a growing export value but has also become the target for food fraud, with consumers duped into paying high prices for mislabelled regular honey. Earlier this year, jars labelled as New Zealand manuka honey were removed from UK shelves, including Fortnum & Mason, after fakes were discovered that contained lower levels of the active ingredient. 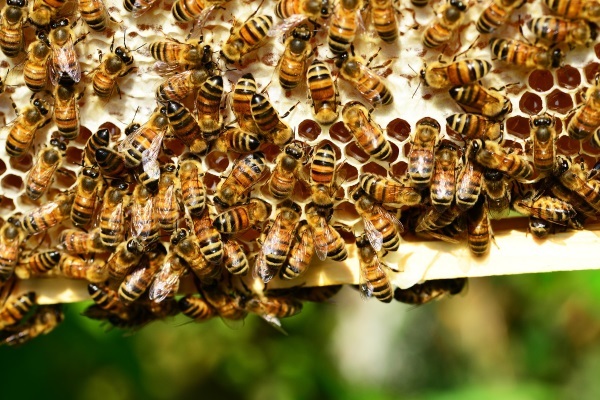 Led by the New Zealand Ministry for Primary Industries (MPI), the authentication system is a result of a three-year Manuka Honey Science Programme to develop criteria for identifying manuka honey from New Zealand. More than 800 honey samples of over 20 different honey types from 16 different countries were analysed, as well as more than 700 plant samples, with the end result being a chemical and DNA test that identifies manuka plant attributes in the honey as well as identifying monofloral and multifloral manuka honey. According to the research, five attributes – four chemicals and one DNA marker – separate true manuka honey from other types. If one or more of the five attributes is missing, the honey cannot be classed as manuka honey. Furthermore, the chemicals must be present at specific levels to pass the test. and DNA from manuka pollen at a level less than Cq 36, which is approximately 3fg/µL. Multifloral manuka honey must also have all five attributes to be classed as manuka honey but it would be determined as multifloral if the 3-phenyllactic acid was found at a level greater than or equal to 20mg/kg but less than 400mg/kg. "Our reputation for honey production and export rests on the integrity of our products and the credibility of our systems," the MPI said on its website. "The science definition is essential to maintain New Zealand's premium position in overseas markets and for the continued growth of our export honey industry. It's important that overseas regulators have confidence in the assurances we give them about New Zealand manuka honey and consumers in export countries are confident they are getting the real deal. If not, our access to markets could be put at risk or we may lose the premium price our bee products command overseas." The chief executive of the UMF Honey Association John Rawcliffe said the new authentication definition was "very positive". "A robust regulatory definition implemented by MPI across all of the industry will help protect an important New Zealand product which is in huge demand internationally," he said. "The UMFHA has undertaken its own extensive science programme over the past five years. We look forward to incorporating the perspectives and learnings of our international science team during the six weeks' review and consultation phase. At the end of that process, we hope to see in place a regulatory definition that provides greater support and increased confidence to our members, consumers and regulatory authorities worldwide." The MPI is now incorporating the authentication definition into export requirements, although it will be some time before it comes into force while laboratories come up to speed with the tests and a public consultation concludes.